When I tell people that my mother is a psychic medium, a channel, their responses vary greatly. Many people immediately ask for her number. Others ask what it was like growing up with a psychic mother (she actually didn’t tap into her gift until I was grown). And then there are the people who think the whole idea is either crazy or evil.I need to start off with the crazy/evil idea. I’ll give you a little on the “crazy” part as it is hard to comprehend that people can communicate with those who have crossed over but the “evil” part is absurd. The Real Deal: Unfortunately there are a lot of people out there who claim to be psychic who do not work in the light. They often have roadside, walk-in businesses where you come in and they fill you with fear by telling you things like “There is a woman close to you who talks about you behind your back.” WALK OUT! The best way to find a good psychic is through word of mouth. I am telling you both through personal experience, and through the testimony of others, that my mother, Lorraine Smith is the real deal. 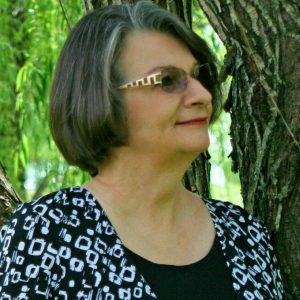 Learn More: If you are interested in learning more about what she does, or scheduling a reading with her, please visit her website: http://www.psychicmediumlorrainesmith.com and if you have a reading, please come back to this blog page and leave a comment about your experience. Lorraine Smith is one of the top readers I have ever had the privilege of receiving guidance from. She works so easily with spirit it will amaze you. 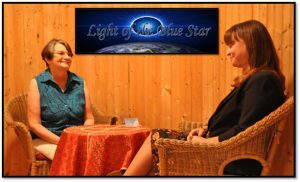 It is incredible, the insight she can bring to your life with one reading. I have visited with her numerous times in the last few years. She never ceases to nail ever issue in my life; with just a name she can also give insight about friends and family members. You owe it to yourself to visit with Lorraine. If you do, I promise you, she will enrich your life in many ways. Thanks for sharing your experiences Katherine! I am so in agreement with you, Katherine. I have referred several friends to Lorraine and all of them have come back to me saying she is the most amazing psychic medium they have ever had the privilege to deal with! Thank you, Patti, for sharing this blog about your mother. I am blessed to have come across her in my life! Awesome lady! I’m honored and privileged to call her my friend. I’ve had several readings with Lorraine over the past few years and each has been wonderful and spot on with things pertaining to my life and my loved ones who have passed. I highly recommend her! I have had several readings by Lorraine over the past few years, and what can I say but this woman is truly AMAZING! Not only are her channelings completely accurate and have foretold future events, but she has allowed my angels and guides to come through with phenomenal advice that has literally turned my life around. I thank Spirit every day for Lorraine, and for bestowing this amazing gift upon her which she has chosen to share with the world.